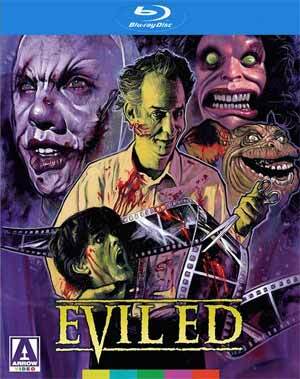 Evil Ed is one quirky but entertainingly bad film and although I really was even aware of it before this Arrow Video release, it apparently does have enough of a following that this set includes a “Special ED-ition Cut” with ~6 more minutes of footage. 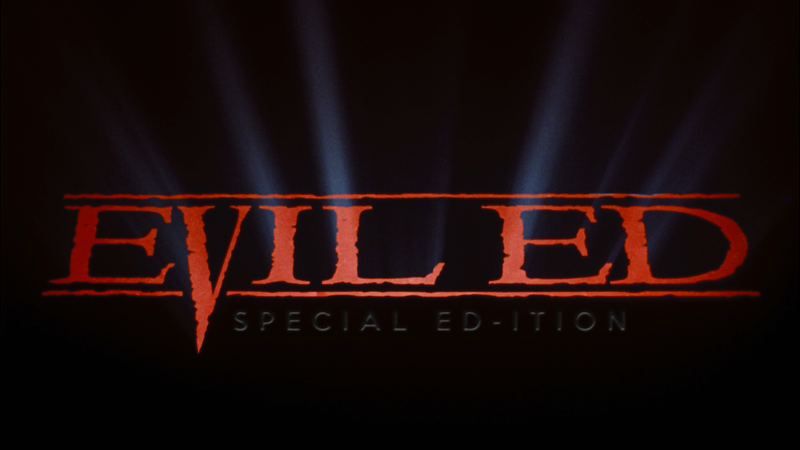 A blood-soacked love letter to the splatter films of the ‘80s, video rental favorite Evil Ed returns in a new, extended “Special ED-ition” cut alongside hours of bonus features. Owing a debt to such films as The Evil Dead, Re-Animator and the early splatter classics of Peter Jackson, Evil Ed is a special FX fiend’s dream – offering up a veritable smorgasbord of flying limbs, exploding heads and creepy creatures. This 3-disc release comes housed in a clear HD Keep Case and inside is a 24-page glossy booklet. You Keep ‘Em Heads Rollin’ (45:32; HD) is making-of documentary featuring interviews with the cast and crew including Co-Writer/Director Anders Jacobsson, Co-Writer Göran Lundström, Actors Johan Rudebeck and Kaj Steveman and many others as they recount their experiences working on the film. Before Ed (9:47; HD) looks at the early filmmaking endeavors of the Evil Ed crew. 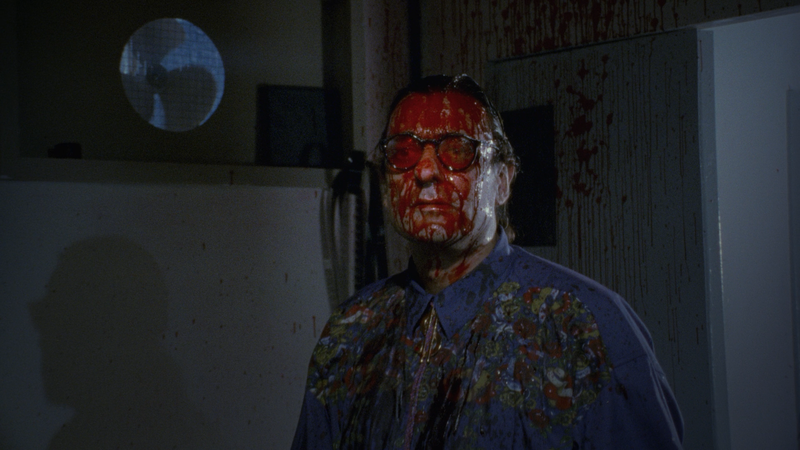 Beyond Ed (10:13; HD) delves into the Evil Ed team later careers. Reconstructing Edward (21:05; HD) – Here we get to see the preparation that went into making the “Special ED-ition” cut. New Scenes (6:10; HD) is a closer look at the scenes that were added to the “Special ED-ition” cut. Deleted Scenes (21:36; HD) looks at the scenes that didn’t make the final cut. Last up is an Image Gallery. Lost in Brainland (3:06: 39; HD) is a never-before-seen, and quite extensive, making-of documentary. Also includes Cast and Crew Interview Bloopers (4:41; HD). 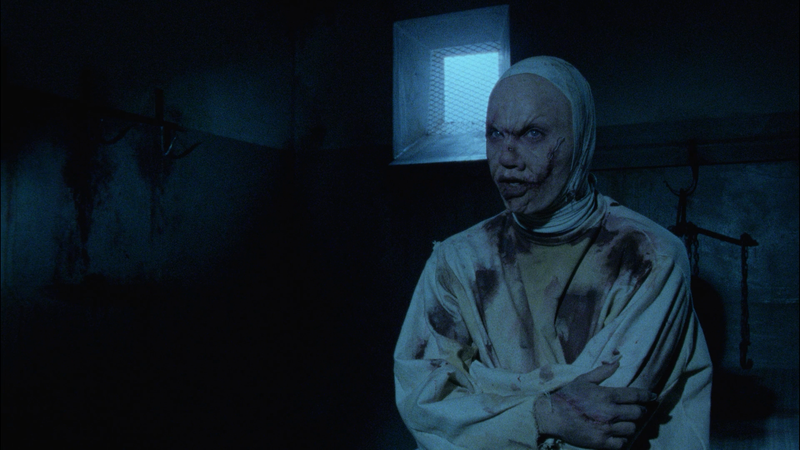 Arrow Video releases Evil Ed onto Blu-ray, presented in its original 1.85 widescreen aspect ratio and a 1080p high-definition transfer. The original 16mm AB negatives were scanned in 2K; this looks quite fantastic in high-def with sharp detail, especially on close-ups and colors were generally bright. Considering this was a low budget German film from 22 years ago, I found it to be an impressive transfer. The disc comes with 2.0 PCM and a 5.1 DTS-HD Master Audio tracks. Both options do provide for clear dialogue levels as well as some interesting music/score choices. Sure, there’s some moderate action but nothing amazing that will challenge your home theater system. Overall, Evil Ed is one quirky but entertainingly bad film and although I really was even aware of it before this Arrow Video release, it apparently does have enough of a following that this set includes a “Special ED-ition Cut” with ~6 more minutes of footage. The video/audio transfers were both impressive as was the collection of bonus feature compiled.